When thinking brings pleasure. When thinking brings pleasure? : How Can the U.S. Army Solve The Shortage of Qualified Recruits. How Can the U.S. Army Solve The Shortage of Qualified Recruits. The Shortage of Qualified Recruits. Based on the media reports (e.g. from the Newsweek), the U.S. Army has growing difficulties to find new recruits because many young Americans are not fit to serve either physically (e.g. due to obesity), mentally (e.g. due to issues with temperament), or intellectually (e.g. insufficient basic education). 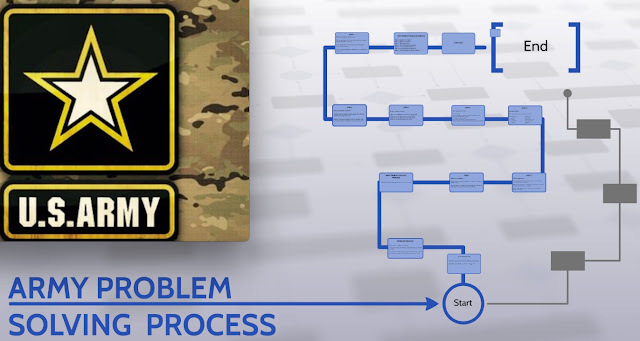 I believe it is time for the U.S. Army to demonstrate its bold and innovative approach to solving difficult problems and to take the matter in its own hands. I believe that the U.S. Army needs to established at least one Army high school in every State. Each school would provide the best education to the students, using the best available technologies and the best and the most experienced teachers. In order to be accepted to the Army high school, applicants would have to pass the selection tests which would demonstrate the ability of an applicant to graduate and succeed through a rigorous syllabus. Acceptance in the school would automatically mean that the graduates will be signing up to serve in the U.S. Army for at least 4 years after the graduation. Of course, all students would also be eligible to all current benefits. Unfortunately, America does not have a strong social force with the goal of significantly improving the state of the public education. Individual parents and student would like to have strong public schools, do not represent a social force/movement. Teachers do represent a social force in teh form of unions, but those don't have such a goal as improving the quality of teaching; their main goal is to ensure the job security. Various research groups have no interest beyond publishing the results of their research and competing for the grants in the field of education (this group, however, does not aim much of the effort on the development of the fundamental science of education). The government is dependent on the activities of the research groups, and hence aims the most of the effort on keeping the status quo in the field. Various philanthropic organizations are focused on making local improvements in the immediate future. Of course, the description above is rather simplistic, but it is sufficient as the model which grasps the essence of the current state in the field of reforming public education. The only practical and strong social force which is left is the Army. When the facts had shown that the levels of water in the oceans are rising, the Army did not get into the debates about climate change. The Army started solving the problem of protecting its properties endangered by that rise (and more). Now the Army experiences another type of a problem - the rising shortage of prepared recruits. I hope that (eventually) the Army takes the solution of this problem in its own hands. And then the other parts of the public education system will slowly begin changing to the better, because there will be an example of how it can be done on a large scale. And the right approach does not require pouring millions of dollars into unnecessary "research". The paragraph below comes from another post on the matter. 1. Find and hire good teachers – there are always good teachers who would be happy to work in a special school. 2. Ask them (teachers!) what the need and do the best to accommodate their requests. 3. Gather and build a good support team of professionals: administrators, specialists, etc. To scale this approach up one only need the resources. And the Army has those resources. There is no doubt that the Army will be able to find enough good teachers to establish 4 to 5 dozens good high schools. To scale it up to the whole system of public education there will be only one problem to be solved: how to have more good teachers? There is the answer to this question, too, in this post.